This week marked the third anniversary of the passing of two Boston firefighters in a fast-moving fire started by hot work in Boston's Back Bay. Lieutenant Edward Walsh and Firefighter Michael Kennedy died battling the blaze at a brownstone on Beacon Street; the cause of the fire was determined to have been started by welding in a nearby building. The tragedy set into motion changes to Boston's Fire Code and prompted a requirement for trade workers to be trained in hot work safety in order to pull a work permit within city limits. Massachusetts Governor Charlie Baker also signed a bill in October 2016 establishing a special commission to study best practices for welding and hot work, and make recommendations for improvements statewide. Not long after the March 2014 blaze, NFPA began working with the Boston Fire Department, City of Boston Inspectional Services and the Boston Metropolitan District Building Trades Council on a plan to ensure that a tragedy like the Beacon Street fire never happens again. In June 2016, the Boston City Council passed an ordinance amending the Boston Fire Prevention Code stating that, effective January 1, 2017, all persons engaged in hot work operations must obtain a Hot Work Safety Certificate. To date, more than 13,000 workers in various construction industry jobs have already participated in the NFPA-designed hot work program. U.S. fire departments respond to an average of 4,440 structure fires involving hot work per year. These fires cause an average of 12 civilian deaths, 208 civilian injuries and $287 million in direct property damage per year. In addition to causing two line of duty deaths and significant property loss in Boston, hot work triggered a neighborhood blaze in Kansas that consumed two apartment buildings and 17 abutting homes this month, and caused a bridge fire in Pittsburgh last fall that snarled traffic for months along a highly-traveled artery. Based on these events and other less-publicized incidents across the country, NFPA is planning an expansion of the hot work training program. NFPA also addresses hot work in NFPA 51B: Standard for Fire Prevention During Welding, Cutting, and Other Hot Work. In the meantime in Boston, Hot Work Safety Certificate Program classes are being offered by local labor organizations. Members are encouraged to contact union administrators regarding training sessions. Unaffiliated construction industry professionals can register for a Hot Work Safety Certificate Program training class at NFPA's headquarters in Quincy. Its the last day of March, and some of New England is forecast to get up to 8" of snow this weekend (luckily not where I live!) so maybe its best if I first reference this post about clearance around fire hydrants. Who knew we would be thinking about shoveling on March 31? But, let's not think about snow! Today, I wanted to feature a topic from NFPA 1, Fire Code, that falls under the portion of the Code's scope of access requirements for fire department operations. Elevators are an essential means for the fire service to access areas of a building during a fire. They can be especially important during fires in high-rise buildings. Per the Code, all new elevators are required to conform to the Fire Fighters Emergency Operations requirements of ASME A17.1/CSA B44, Safety Code for Elevators and Escalator which includes a provision that elevators must be equipped to operate with a standardized fire service access key. These keys provide access to the elevators so that the fire service is able to take control of the recalled elevators during an emergency and manually control them to move to the necessary floors for tactical needs. In addition to the requirement for number of elevator cars, protection of elevator machine rooms, and elevator testing which are extracted from NFPA 101, Life Safety Code, NFPA 1 provides its own provisions for standardized fire service elevator keys. The requirements of 11.3.6 mandate the standardization of fire service elevator keys to reduce the number of keys necessary for accessing elevators in an emergency. All new elevators must be equipped to use standard keys as approved by the AHJ, and all existing elevators with fire fighters’ emergency operations must be retrofitted to use standard keys within 1 year of the adoption of the Code by the jurisdiction. Where the physical limitations of existing elevators do not permit such retrofit, the Code permits the installation of access boxes opened by standard fire department keys for the housing of nonstandard elevator keys. The access box must be compatible with an existing rapid-entry access box system in use in the jurisdiction and approved by the AHJ. The front cover of the access box is required to be permanently labeled with the words "Fire Department Use Only - Elevator Keys" and must be mounted at each elevator bank at the lobby nearest to the lowest level of fire department access at a location also approved by the AHJ. In buildings with two or more elevator banks, a single access box may be permitted if the banks are separated by not more than 30 ft (9140 mm). If they are separated by a distance greater than that, additional access boxes are needed. Where an access box is required and provided it is important that it be used only for its purpose to store elevator keys. Contents of the access box are limited to the keys only. Other items relevant to emergency planning or elevator access should only be stored in the access box where authorized by the AHJ. This prevents the access box from being used for any other purpose other than storing the keys. Extra materials can hinder the fire department's ability to quickly and efficiently access to the keys and may increase the risk that the keys go missing from the access box. Today we wish to take the time to remember one of the great pioneers for Life Safety Advocacy. After witnessing the tragedy that occurred at the Triangle Shirtwaist Fire on March 25, 1911, Frances Perkins took up the cause of safety reform. She was one of three female members of the National Fire Protection Association during that time period. In 1912, Frances became the executive secretary of the Committee on Safety, a non-governmental body formed in the days following the Triangle fire to push for system-wide reforms for work safety. In May 1913, she addressed the 17th Annual Meeting of the NFPA in New York and urged the organization to advocate for codes that protected not just buildings, but also the people who worked within them. NFPA created the Committee on Life Safety the following year, and in 1927 issued the Building Exits Code, the forerunner to today's Life Safety Code. Perkins was named Secretary of Labor in 1933 by Franklin Roosevelt, becoming the first female Cabinet secretary in U.S. history. For more information on Frances Perkins, check out the NFPA Journal. Also visit the Frances Perkins Center website. For more information regarding this story and other NFPA or fire related history, please feel free to reach out to the NFPA Library. The NFPA Archives houses all of NFPA's publications, both current and historic. Library staff are available to answer reference questions from members and the general public. On Day 1 of the seminar, I talk about the importance of inspecting, testing, and maintaining building fire protection and life safety systems. According to news reports, four individuals died in a fire in a “transitional housing” building that housed about 80 recovering drug addicts and former homeless people. Days before the fire, city officials cited the owner for numerous deficiencies including the lack of portable fire extinguishers, missing smoke alarms, and non-functioning fire alarm and automatic sprinkler systems. The deficiencies were ordered to be corrected immediately. They apparently were not, however, soon enough, and four residents paid with their lives. 4.6.12 Maintenance, Inspection, and Testing. where such feature is a requirement for new construction. required by the Code, shall be either maintained or removed. or as directed by the authority having jurisdiction. In the case of automatic sprinklers and fire alarm systems, the applicable NFPA requirements are NFPA 25, Standard for the Inspection, Testing, and Maintenance of Water-Based Fire Protection Systems, and NFPA 72, National Fire Alarm and Signaling Code. By following the inspection, testing, and maintenance requirements contained in these standards, impairments and other conditions that would adversely affect the system’s performance can be promptly corrected, ensuring they will provide the needed level of protection. This, of course, costs money. Delinquent building owners who choose to ignore these mandatory, minimum safety requirements need to be dealt with through the courts. Failure to do so will result in future tragedies like the one in Oakland this week. The remains of the Haughton Grammar School in Augusta, Georgia after the Augusta Conflagration. In today's post the NFPA Archives takes a look back at the avoidable tragedy that occurred in Augusta, Georgia during the span of two days in March 22-23, 1916. The initial cause of the fire is unknown. However, the city streets were full of inflammable cotton (in violation of city ordinances at the time) and the roofs were primarily wooden shingled. As a result of this fire, the building code recommended by the National Board of Fire Underwriters was adopted by the city on April 5, 1916. "The interval between the start of the fire and its control covered a period of ten hours and forty minutes and in its course of destruction it covered an area of one-quarter square mile, or about 160 acres, destroyed 141 business buildings and 541 dwellings and gutted two buildings of fire-resistive construction. There were several narrow escapes of life; 600 families and 3,000 persons were made homeless and about 1,000 were thrown out of employment. The property loss is about $4,250,000 with insurance loss of about $3,500,000. Among some of the notable buildings destroyed were St. Paul's Episcopal Church, which was 128 years old; two city schools, Y. W. C. A. Building, Commercial Club, and some of the oldest and best dwellings in the city. are considerably more pronounced in some sections of the city which were not destroyed." 70E Series: A Better Undersanding of NFPA 70E - The things needed before normal operation is consider safe (PART 2). This is a continuation of my last blog on normal operating conditions. Safe use of equipment under NFPA 70E is based on the equipment meeting these conditions. Although the conditions are a starting point for all electrical work, the conditions are necessary before an employee operates the equipment for its normal function. Properly installed, properly maintained and closed doors were addressed in the previous blog. Covers in place and secure – This takes a little judgement of the operator. Remember that this is also in the section addressing normal operation. Using the example of the access door for the panelboard circuit breaker, the hinged door is on a bolted cover that is intended to stay in place when operating the breaker. You must make sure that any equipment covers are properly secured. This will require proper training of the person interacting with the equipment. If the covers are absent or unsecured, your employee is potentially at risk of an injury if they attempt normal operation of that equipment. This safety issue is not addressing the tasks that require an energized work permit. This covers the person operating a HID breaker to turn the factory lights on each morning, for example. No signs of impending failure – This is a tough one. Typically the employer/owner is not aware of the condition of individual equipment in their facility. The burden of determining this is often the responsibility of the person (think AHJ) interacting with the equipment since conditions can change on a daily basis. This involves training that person to understand the potential failure modes and to identify signs of the impending failure of the equipment. These signs vary greatly by the type of electrical equipment. The smell of ozone, presence of smoke, sound of arcing, visible damage, or warning lights are all possible indication of potential equipment failure. If any of the signs are present, that person is potentially putting themselves at risk of an injury if they attempt normal operation of that equipment. This safety issue is not addressing the tasks that require an energized work permit. This covers the person operating a HID breaker to turn the factory lights on each morning, for example. Instructions – Regardless of the equipment meeting the normal operating conditions, for an employee to safely interact with equipment they must understand the conditions, methods, functions and sequences for safely operating the equipment. Equipment typically is supplied with manufacturer’s operating instructions. If the equipment is listed, these instructions typically include the specifics necessary to operate the equipment within the parameters of that listing. Operating equipment contrary to the instructions puts the employee at risk of an injury whenever they attempt to operate of that equipment. This covers the person operating any electrical equipment including proprietary or production line equipment. There is no reason to believe that normal operation of equipment meeting these conditions inherently presents a unacceptable risk of injury to a person. No interaction with equipment would be permitted if it did. A computer, light switch or elevator would be a hazard with an unacceptable risk level. Society has come to terms with the concept that normal operation of equipment does not pose an unacceptable risk of injury to persons under these conditions. In your facility, you are responsible for assuring that the conditions which permit normal operation have been meet before allowing your employees to interact with your equipment. Next time: Does normal operation cover everything that a manufacturer claims the equipment can do? In honor of Stella (the overly enthusiastic Nor'easter that managed to shut down a good portion of the Northeastern United States this week and cover us all in a frosty coating), we are highlighting the efforts made by all of the hard working men and women who braved the weather and maintained the roads for our emergency service professionals. New York City shows off its powerful new snowplows in this photograph from February, 1921. The winter of 1920 was a difficult one with a series of heavy snowstorms throughout the eastern portion of the United States. Although there were no large fires during these storms, the fire departments at the time saw the potential danger that snow-blocked roadways might cause. "The fire fighting equipment was helpless because of the blockade of snow and ice on the streets. Through delays of slow and clumsy methods of removal much snow turned to solid ice, making the difficulty in clearing streets even greater. Weeks elapsed before the city was again on a normal traffic basis. The lesson taught at the time was taken to heart and a series of investigations were conducted by New York officials as to proper equipment for quickly disposing of snow as fast as it fell. To wait until the snowfall had engulfed the city, before starting to clear it away, was obviously the wrong procedure. As a result of these investigations, the city was equipped last fall with 150 ploughs of the caterpillar tractor type and 212 five ton power dumping trucks. One hundred and fourteen of the ploughs were placed under the control of the Fire Department." It’s a scenario we’ve seen time and time again: occupants unable to escape a burning building because of locked egress doors. A fundamental tenet of the Life Safety Code is free egress; occupants must be able to get out of the building without the use of any keys, tools, special knowledge, or effort (with a handful of exceptions). The Code has its roots in fires such as the historic Triangle Shirtwaist Factory in New York City on March 25, 1911, which killed 146 garment workers, most of them young, immigrant women, who were unable to escape because the owners locked the stairwell doors. And just a week ago, 40 teenage girls died in a Guatemala youth shelter fire when the girls were locked in a classroom during a series of disturbances. The Code is very clear: an occupant must be able to open an egress door with not more than one latch and/or lock releasing operation (residential dwelling units can have two operations, or three if existing). Operation of the releasing mechanism must be readily obvious under all lighting conditions, including no light. If you encounter anything other than this arrangement, it needs to be closely looked at. Only a few exceptions to the free egress rule exist in NFPA 101. The most obvious applies to detention and correctional occupancies, which are sub-classified based on five “use conditions.” Depending on the use condition, certain doors can be locked against egress. Additional life safety features must be provided commensurate with the use condition. Related to detention and correctional occupancies, some other occupancies are permitted to have lockups to temporarily secure occupants (e.g., a holding cell in a police station that does not meet the criteria of a full-fledged detention and correctional occupancy). Assuming the youth home in Guatemala was classified as a dormitory, Chapter 29 permits lockups in existing hotels and dormitories, subject to the special lockup provisions in 23.4.5. Lockup requirements vary and can include: staff training and capability to quickly release locks, detention-grade hardware on locked doors, automatic smoke detection, and automatic emergency forces notification. Similarly, doors in health care occupancies (hospitals, nursing homes, and limited care facilities) have long been permitted to be locked in the direction of egress for patient and staff safety based on patient clinical needs. Examples include locking doors in the direction of egress in a psychiatric or dementia care unit. In such cases, staff must be able to readily unlock doors and undergo regular training as part of the facility’s emergency action plan. More recently, in the 2009 edition, the Code introduced provisions to allow locking of egress doors in health care occupancies for “patient special needs.” These criteria are intended to address the need to lock doors from newborn nurseries to prevent infant abductions. The provisions include a series of enhanced life safety features to ensure the locks can be quickly released in the event of an emergency. Other exceptions to the free egress rule include special locking arrangements: delayed-egress locking systems (which will be known as “delayed-egress electrical locking systems” in the 2018 edition – 7.2.1.6.1), access-controlled egress door assemblies (which will be known as “sensor-release of electrical locking systems” – 7.2.1.6.2), and elevator lobby exit access door assemblies locking (7.2.1.6.3). Where these special locking arrangements are utilized, the additional life safety requirements that accompany them must also be implemented. Ensuring egress doors are not compromised needs to be a top priority. Don’t be misled into thinking that security takes precedence over life safety. The Code recognizes the need for balance; see the special locking provisions described above. They can effectively enhance security while still maintained the needed level of life safety from fire. Coming in the 2018 edition, the Code will provide criteria for locking devices to prevent unwanted entry in locations such as school classrooms, recognizing the modern threat of active shooter scenarios. Like the other special locking arrangements, the use of such devices will also require a series of life safety requirements to be met. Honor the lives lost in the Triangle Shirtwaist Factory and the Guatemala youth shelter by being vigilant in the enforcement of, and compliance with, the Code’s free egress provisions. Thanks for reading. And as always, stay safe. While the Oscars may be over, many of the movies that were up for this coveted award very much remain in the hearts and minds of viewers. Their themes, storylines and characters have touched us in some profound way and still have us talking. One such movie, Manchester by the Sea, starring Casey Affleck, hits close to home for many of us who advocate for fire safety. In the film, we see the painful and long-term impact fire can have on an individual, a family and a community. It is, by all accounts, an important reminder that the fire problem still looms large and has the power to destroy lives. The latest “Outreach” column in NFPA Journal takes a look at the movie and explains how Hollywood gets this one right in its effort to show the true effects of fire and loss. Are you planning to see the movie? Or maybe you're one of the many fire safety advocates and fire service professionals who has seen it? 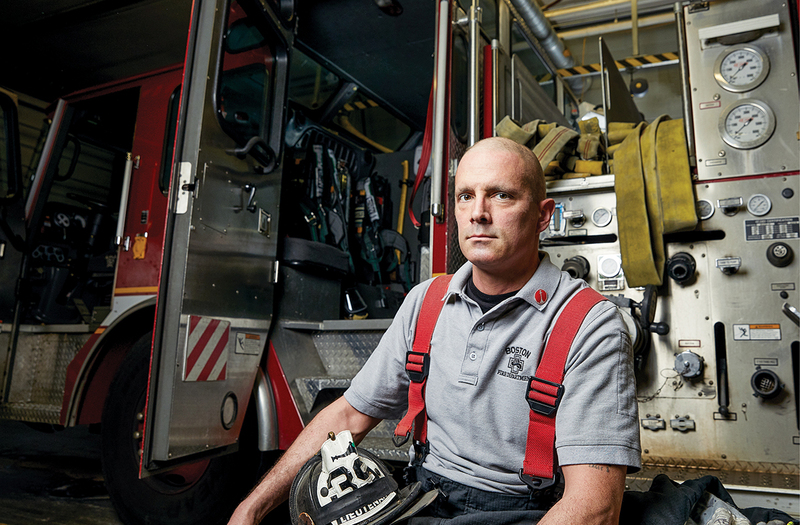 If you have, read this month's column, "Getting Fire Right," and tell us what you think. What effect has this film had on you, on your job or your role in the community? We'd love to hear your thoughts and opinions. This week, representatives from the fire service in Mexico will convene at the 13th Annual NFPA Mexico Fire Expo, the premiere event for fire and life safety in Mexico. The conference is held in conjunction with Expo Seguridad and Expo Seguridad Industrial, and brings together fire professionals, installers, consulting engineers and service providers interested in purchasing and installing fire and life safety products. The goal is to provide stakeholders in Mexico with the necessary educational information, networking opportunities and solutions they need to protect property and manage safe, successful and resilient buildings, campuses, factories and complexes. The trio of complimentary events attracted nearly 17,500 attendees last year, with more than 5,300 interested in new products and services related to fire protection. The interrelated industry conference has had a history of fostering great synergies and forward-thinking perspective among attendees. More than 400 exhibitors will showcase products, new technologies and services at the conference aimed at keeping people and property safe from fire and related hazards. For the first time, NFPA code training sessions have been added to the agenda, making it a single, all-encompassing event. Instructors will deliver three days of training before the Expo begins in the late afternoon each day. Training on NFPA 13: Standard for the Installation of Sprinkler Systems will focus on locating and applying installation requirements to help ensure the proper functioning of water-based sprinkler systems. Attendees will also learn about NFPA 72: National Fire Alarm and Signaling Code so they can navigate, locate and interpret code provisions and apply them in their daily work. They will also learn how to improve the quality of signaling system applications as an integral part of fire protection. NFPA’s Mexico Fire Expo runs March 14-16 at Citibanmex Center in Mexico City. Anyone may submit a comment on this proposed TIA by the May 18, 2017 closing date. Along with your comment, please identify the number of the TIA and forward to the Secretary, Standards Council by the closing date. Back in January the NFPA 1 Second Draft Report was posted online for public review. This report summarizes the actions of the committee from their Second Draft meeting as well as provides a complete updated draft of the Code showing all of the revisions and responses to public comments. Internally, we are now processing any NITMAMs (notice of intent to make a motion) that were received for NFPA 1 and a report on those motions that qualify for presentation at the Association Technical Meeting in June will be posted mid-April. Chapter 52, formally titled Stationary Storage Battery Systems, is being renamed to Energy Storage Systems and is undergoing a complete reorganization and rewrite for the 2018 edition. The purpose of this rewrite is to recognize both established battery technologies and new technologies. This rewrite reflects existing and new applications of these energy storage systems. The revision to Chapter 52 represents a piece of the effort that NFPA is putting forth to develop resources for its stakeholders related to energy storage systems and newer battery technologies. The January/February 2016 edition of NFPA Journal contains a headline story highlighting the emerging safety questions facing enforcers and first responders as energy storage systems begin to revolutionize power management. In addition, as these systems are rapidly becoming a reality across the United States and to help the fire service handle the unique challenges presented by these new technologies, NFPA has developed the Energy Storage System Safety Training Course. NFPA 855, Standard for the Installation of Stationary Energy Storage Systems is a new standard being developed to formally address these technologies. NFPA 1 will evaluate NFPA 855 at their next meeting to check for consistency and/or extract provisions from the standard. Look for future #FireCodefriday posts about additional new requirements coming to NFPA 1, 2018! How much do you know about the inspection, testing and maintenance requirements for swinging fire doors? Take our quick quiz and test your knowledge of the use of NFPA 80: Standard for Fire Doors and Other Opening Protectives. The quiz is based on the 2016 edition of NFPA 80. Next week GT Research and the Solar Energy Industry will release their U.S. Solar Market Insight report indicating that the U.S. solar market experienced its biggest year with a 95 percent increase in megawatts installed, year over year. Solar was the No. 1 source of new electricity in 2016, accounting for 39 percent of the new additions. The exponential growth of photovoltaics (PV) is not without concern, particularly as it relates to fires and firefighter safety. Upon arrival at a fire incident, the fire department typically cuts power to a building. Solar panels are required to feature shut-offs but in an emergency situation, it may not always be possible for firefighters to hit the switch. And of course, there is a good chance, day or night, that the units will still be energized. The constant state of electricity leaves firefighters at risk for electrocution. The weight of solar panels on a roof that needs to be vented is also a big concern. Fire departments usually attack fire from inside, but if they cannot vertically vent the roof above a fire due to solar panel placement, they will have to revisit their tactics and tackle it from the outside. If they attempt to fight the fire on the roof, they contend with the possibility of tripping over panels, or a roof collapse. NFPA Journal® covered these concerns and more in the article, Perfect Storm. Last month, the Madison, Illinois Fire Department installed 236 solar panels at their station. They received nearly $270,000 in grant money to save money on their electrical bill. Additionally, the PV installation provides a great opportunity for local fire officials to deliver hands-on first responder training to Madison firefighters and other departments in the region. The station utilized several different solar panel types so that firefighters could get a broad understanding of products and hazards. NFPA has great PV resources. Visit the PV systems landing page to learn more about the five NFPA codes that reference photovoltaics, research reports, articles, podcasts, international efforts, and other tools in one convenient location. I don't find March too appealing. It's a long, cold month. Today it has barely reached 32 degrees with a balmy windchill of 22 degrees here in Quincy, MA. Last week us New Englanders were soaking up the sun and near record heat. How quickly things change up here! Good thing spring is on its way. What better time to conduct maintenance on fire protection systems or check compliance with Fire Code requirements. Today's focus is provisions for portable fire extinguishers. One of the more common questions I get about fire extinguishers is "where are they required?" Section 13.6 of NFPA 1, Fire Code, addresses the provisions for portable fire extinguishers. Most of the requirements are extracted from NFPA's source document for this equipment which is NFPA 10. The provisions for selection, installation, inspection, maintenance, recharging and testing of portable fire extinguishers all resides in NFPA 10 and is extracted info the Fire Code. and the referenced codes and standards listed in Chapter 2. Portable fire extinguishers are required by the Code to be installed in the occupancies specified by Table 13.6.1.2. The Code requires portable fire extinguishers in buildings of every occupancy classification other than one- and two-family dwellings, whereas NFPA 101 requires portable fire extinguishers in far fewer occupancies. The different requirements of NFPA 1 and NFPA 101 are sometimes, incorrectly, perceived as a conflict, but they are not. The scope of NFPA 1 includes occupant safety, emergency responder safety, and property protection; the scope of NFPA 101 is limited to occupant life safety. The broader scope of NFPA 1 warrants different protection requirements — in this case, more stringent requirements than those of NFPA 101 for the installation of portable fire extinguishers. By meeting the more stringent requirements for portable fire extinguishers of NFPA 1, the requirements of NFPA 101 are also met. A conflict would exist only if one code required portable fire extinguishers and another code prohibited them. Do you require portable fire extinguishers in your facility? What common issues have you seen with the portable fire extinguishers? Training? Inspection? Recharging? A Michigan man was awarded $5 million after suffering burns to half his body in a food truck flash fire. Gary Leonard sued his sister and her companies. He was helping his sister prepare her food truck for a festival in 2013 when his lighter lit gas escaping from an unmarked valve, and caused an explosion. The injuries left Leonard hospitalized for three months in an induced coma, with many lingering health problems. This incident, along with one in Philadelphia in 2014 that resulted in the death of a mother and her child, prompted Grand Rapids attorney Paul Janes to call for the need for food truck safety inspections. In recent years, the safety issues associated with food trucks have been championed by NFPA and other safety-conscious authorities across the country. Following the tragic incident in Philadelphia, the International Facility Management Association (IFMA) put together a proposal for a new chapter of NFPA 96, the Standard for Ventilation Control and Fire Protection of Commercial Cooking Operations for the ventilation and fire protection controls in these types of operations. The IFMA proposal was highlighted in the NFPA Journal article “All Up in Our Grill”. NFPA 58, LP-Gas Code (propane), addresses safety as it relates to LP-Gas in these types of installations. Additionally, NFPA 1, Fire Code, includes new language regarding mobile and temporary cooking operations. To spread awareness about related protocols and hazards, NFPA has created a food truck public education page with links to codes, a tip sheet and other relevant resources. Today marks the 360th anniversary of one of the deadliest fires in history. On March 2, 1657, a fire began in Edo, Japan—what is now Tokyo—that would destroy almost two-thirds of the city and kill thousands. Death toll estimates range from 30,000 to 200,000, but tend to hover around 100,000. The fire then spread rapidly through the city, which housed structures made of wood and paper that were “bone-dry” at the time because of a drought, according to a book on disaster education and management. The fire reportedly smoldered for three days, and in its aftermath, the Japanese military government of the time, the shogunate, implemented new safety measures to thwart future catastrophic fires, such as building wider roads and embankments to act as firebreaks and relocating temples and other important buildings to the outskirts of the city. Pictured: The point of origin of a fire that occurred in 1923, in a tenant manufacturing building in Everett, MA. "The fire started inside of a hollow wooden partition on the fifth floor. The photograph shows one side of the partition removed. Traces of mice nests and refuse brought in by mice were clearly visible after the fire. The building [was] known to be infested with mice as other hollow partitions removed after the fire disclosed mice nests similar to the one which caused the fire... Three sprinkler heads operated and extinguished the fire shortly after it broke through the partition." You’ll sometimes hear users of the Life Safety Code refer to hazardous areas, protection from hazards, special hazards, and other variations on the same theme. So what exactly is a hazardous area and what sort of protection does it need? The answer, as in the majority of cases when we’re talking about codes, is: “It depends.” Remember that NFPA 101 predicates its requirements on the risk to a building’s occupants, which varies depending on occupant characteristics. Workers in an office building have different characteristics with regard to life safety than, say, patients in a hospital. Because occupant risks vary from occupancy to occupancy, so do hazardous area protection requirements. areas shall be protected in accordance with Section 8.7. Based on the usual life safety characteristics of business occupants, a storage room can be protected by any of the means described in Section 8.7. This gives the designer the choice of providing a 1-hour separation, or providing automatic sprinklers with a smoke partition separation. Either method will provide the necessary protection. If the storage room is larger than 10 ft X 10 ft and contains combustibles, it needs to be separated from the remainder of the hospital by 1-hr fire barriers; and, by the way, it will also require automatic sprinklers because all new health care occupancies must be fully sprinklered. The requirement for 1-hour separation and sprinklers implies that storage of combustibles in a hospital poses a severe hazard to the occupants due to their inability to self-evacuate in the event of a fire. High-hazard contents are those materials in a building that are subject to very rapid fire development or pose an explosion hazard. Protection of high-hazard contents usually involves reviewing the code or standard that applies to the specific hazard (e.g., NFPA 30 for the protection of flammable and combustible liquids). It’s important to note that NFPA 101 currently only considers fire hazard; other hazards, such as health and physical hazards (e.g., corrosives and radiological hazards) are not addressed by the Code. The upcoming 2018 edition of NFPA 101 will start to introduce broader hazardous material protection requirements – stay tuned. In summary, to determine whether an area is a hazardous area requiring any special protection, the occupancy classification must be known, and the appropriate occupancy-specific requirements must be reviewed. If there’s ever a question, the general provisions in Section 8.7 always apply such that if the AHJ believes an area is a hazardous area, it’s a hazardous area. Where separation by fire barriers or smoke partitions are required, the doors have to meet the applicable requirements, and always need to be self-closing – no wooden wedges! Be sure to protect those hazardous areas. If you do, you’ll – stay safe! More and more U.S. municipal fire departments are being called upon to respond to wildfire incidents. Is your fire department one of them? Do they have the capability to handle these unusually challenging events? If you weren't able to join us for the webinar back on February 22nd, we invite you to take advantage of the video here on Xchange. See how your answers compare to those who completed the survey and learn what challenges fire departments across the U.S., like yours, face when it comes to wildfire mitigation, safety and response. If you haven’t registered for Xchange yet, it’s really easy to do. Just look for the login link above to login or register for your free account. Once you’re logged in, you will have access to the full webinar, in addition to related free content and discussions with your peers across the country and around the world. Don’t miss out; get involved today! I have a masters degree in fire protection engineering. Why then...do I keep setting off my smoke detectors when I start a fire in my wood stove? Luckily oil prices went down, so the spending hasn't been too horrible. Anyway, I'm working from home today with the kids in daycare. It was a perfect morning to fire up the wood stove. I built my top-down fire and then filled my house with smoke. Luckily I was paying close attention, but if not, my smoke detection system would have made sure I was notified. Why did this happen? The stack effect. It was around 37 degrees outside this morning and 68 degrees inside my house. The cold air inside of the chimney is denser (closely spaced molecules, less energy) than the air inside my house (more energy, more movement, wider spaced molecules). When I opened the wood stove door, the heavy cold air moved down the chimney into my living room, creating a downward draft (like when you open the freezer and the cold air drops to the floor). When I lit the fire in the wood stove, the rising heat and smoke were not enough to reverse the direction of the draft, causing the smoke to spill out of the stove and into my living room- setting off the smoke detectors. In more scientific terms, the pressure difference between my living room and chimney caused a stack effect. I did the math and found there was only a pressure difference of 0.003 in. W.G. Not much, but enough to cause a problem this morning. The stack effect can have much bigger implications in tall buildings- especially ones in climates with extreme temperatures. If a 100 ft tall building in Texas is conditioned to 70 degrees but it's 100 degrees outside, there can be a reverse stack effect of negative 0.01 in. W.G which can cause the smoke from a fire to push downward instead of rising up, which is why smoke control and venting systems are so important in tall buildings. So the lesson I've learned had to learn a few times... is to let the wood stove draft for a few minutes before starting a fire and burn a few pieces of newspaper to help warm up the chimney.